When I first picked up Golf Peaks, I thought it would be similar to those flash golf games we used to play when we were younger. You know, the ones where you adjust the angle, strength, and try to get the ball into the hole with as little tries as possible? However, Golf Peaks is not like that, and surprisingly I actually enjoyed this game a lot more than I expected. It is a friendly, calming, and oddly therapeutic game similar to a board game but on the Nintendo Switch. Despite the short length and how simple it looks, Golf Peaks is fun, creative, and helps the player wind down after a long day. 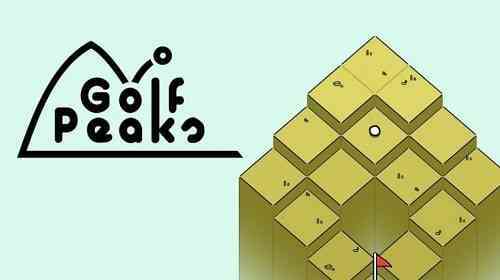 Golf Peaks is a minimalistic, isometric puzzle game that requires no prior knowledge of golf. The goal is still similar to real golf – get the ball into the hole. Instead of changing angles and the power of your shots, you are given a limited number of cards. Each card has abilities that you are allowed to do, and each level has a different number of spaces before you reach the hole. For example, there will be cards where you are allowed to move two spaces and cards where you can jump over an obstacle. Each round has a different puzzle with different cards, and the ultimate goal is to get the ball into the hole using only the cards that are given to you. 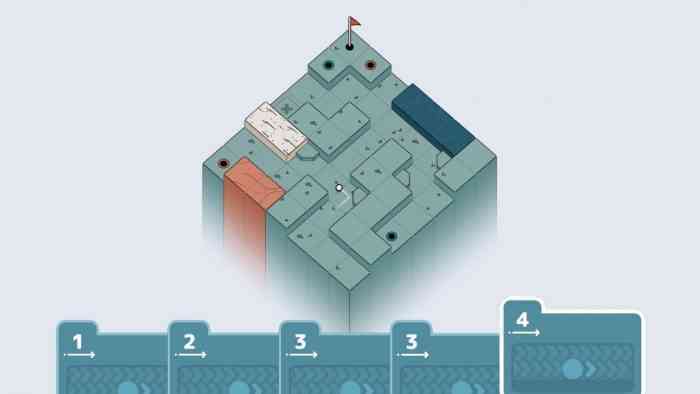 While the first couple of levels feel very easy, they become more and more challenging. The controls aren’t difficult to learn, and making a mistake is also easy to correct. What I appreciated about this game was the fact that it did not punish the player for making a wrong move. There is an undo button that erases your previous move, and a restart button that automatically resets the entire puzzle. Fixing an error is quick and simple (that is, if you know where you messed up) because the controls are very responsive. There are multiple worlds in the game, with each world offering new levels, obstacles, and cards. Thankfully, the loading times are near non-existent, with the new challenges seamlessly presenting itself to the player one after the other. While Golf Peaks is a short and simple game with just a little over 100 puzzles, it still felt like an accomplishment even halfway through. Don’t let the first couple of levels deceive you – the game can get very difficult towards the end. However, despite the puzzles becoming more challenging, something about the game still felt very relaxing. Perhaps it was the ease of controls and ability to quickly undo or restart the puzzle, or maybe it was the calming colour scheme and sound effects. Whatever it was, I was never frustrated at the game and did not ever feel like rage quitting in the middle. Since the game is not that long, it is hard to spend much time on it. 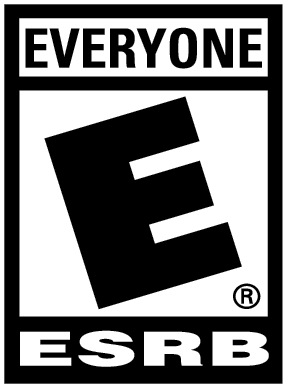 It’s similar to a cellphone game (side note: it is currently available on the iOS as well), so the gameplay is something quick that will satisfy the player for a short period of time. However, if you are hoping to distract yourself for a while, Golf Peaks may not necessarily be the first game you pick up if you have your Switch. On the other hand, it works incredibly well on the Switch and is an enjoyable experience if you want to play on a handheld. Either way, the game was entertaining and I found myself hooked within the first five minutes. The only issue would be keeping my attention for longer because before I even realized, I was halfway through the game. Golf Peaks is a calm, de-stressing game that makes you plan ahead but also does not punish you for making the wrong move. It is suitable for all ages, encourages creative thinking, and is also relaxing to play. You can easily finish the game in one sitting if you wish, but you can also put it down and easily pick it back up later. While the game is on the shorter side, it is also enough fun and challenge to satisfy for a short period of time.